For this tutorial I'm going to use #75080 as an example. 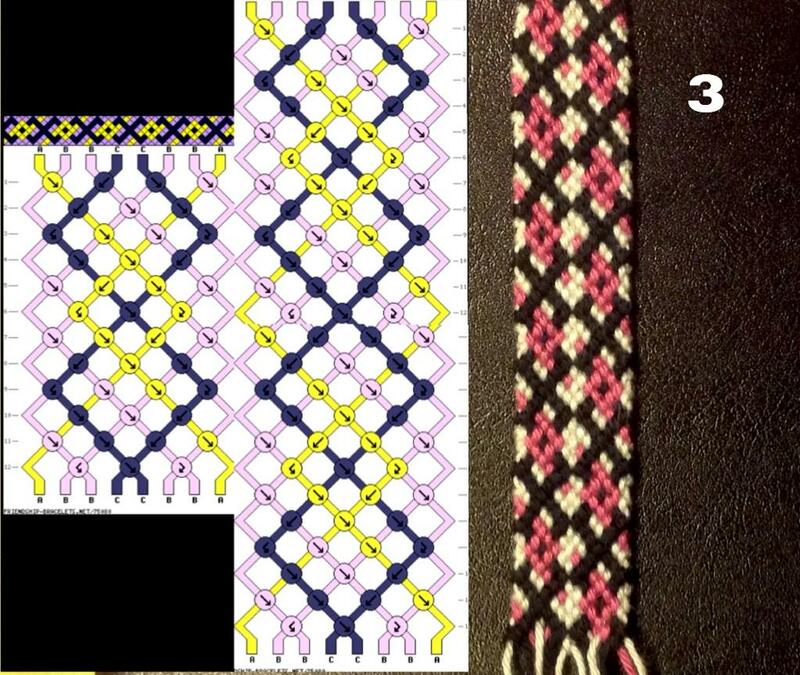 For this version I choose color B as the color I wanted to see where two different colors were knotted together. For the extra string I used the same color as for strings B. 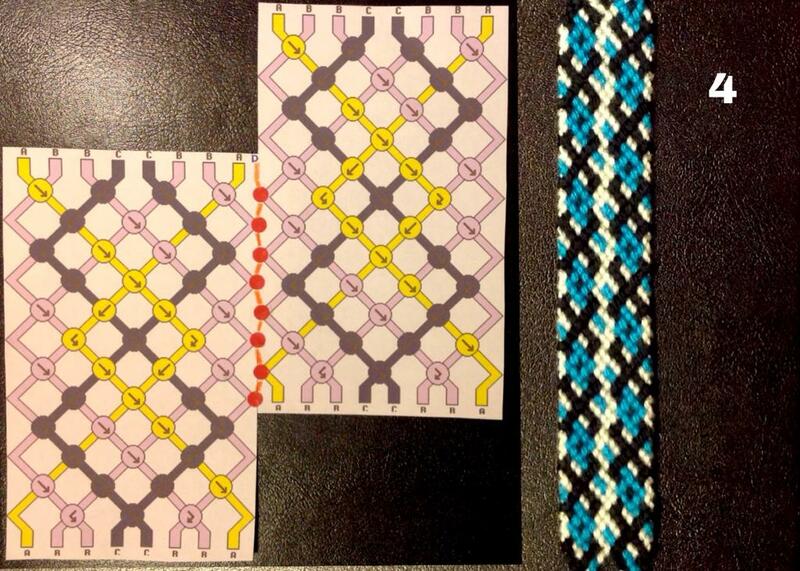 And for this version I choose color E as the color I wanted to see where two different colors were knotted together. 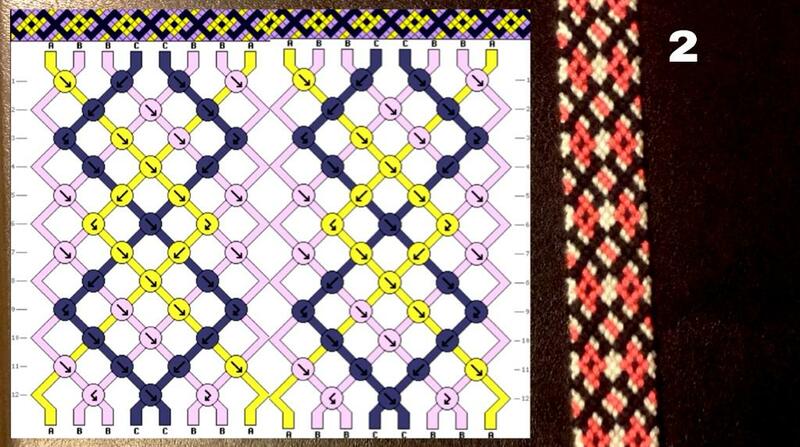 You always knot the two patterns together where the two not-used-strings in the even rows are touching. In example 4 you make knots where the red circles are. 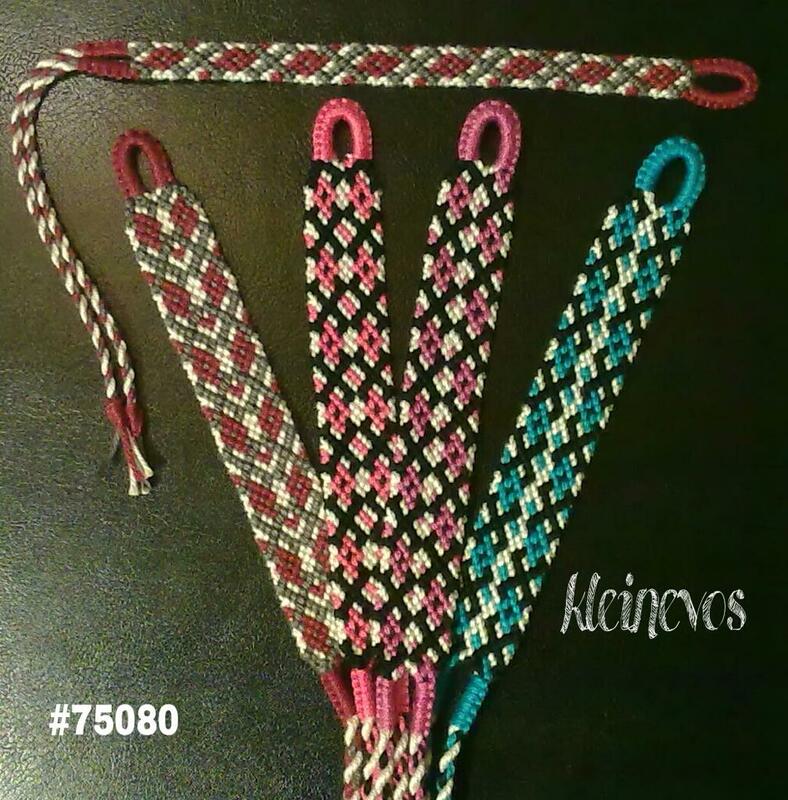 If the colors of the two strings are the same, you can use a forward knot. If the colors are different you have to use a forwardbackward knot or a backwardforwardknot. 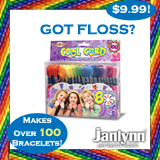 It depends on the color you like to see which knot you choose. And if you want to be even more creative you can also use a FK or a BK to change the color . . . It depends on the pattern you are using if that is an option. 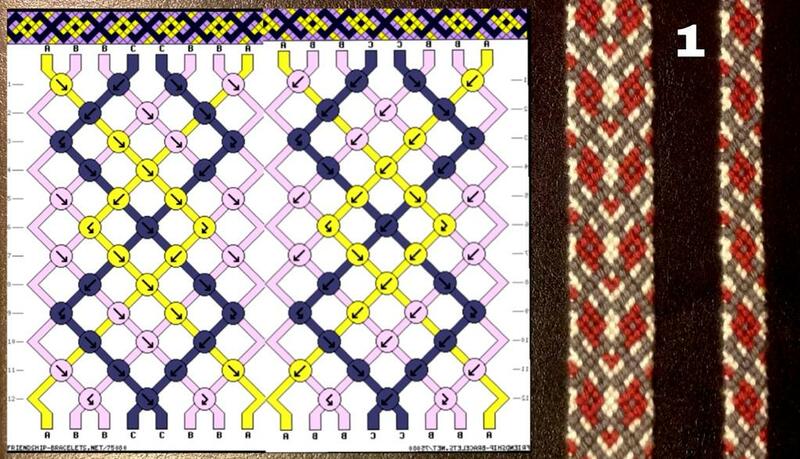 Ofcourse there are more ways to double a pattern, like upside-down, but these pictures show you the basic. The original author of this tutorial is kleinevos, but it has also been edited by Arismende. The tutorial was last updated 2 years ago.